Moderator – Hello. At this time all participants are muted. As a reminder this briefing is being recorded. It’s now my pleasure to introduce you to our host Hanna Steplewska, V.P. of Business Development at Stratolaunch. Thank you, Hanna. You may begin. Hanna Steplewska – Welcome everyone. Thank you for joining us. Today you will hear about our historic milestone from members of the Stratolaunch executive team as well as our Scaled Test Pilot. I hope you feel the enthusiasm we share here in the hangar. It’s been an amazing day. We will not be taking questions but we do have plenty of details about today’s events for you. With that, I’d like to introduce you to Jean Floyd, CEO of Stratolaunch. Jean has more than 30 years of experience in the aerospace industry including leading programs related to air launch space vehicles, launch operations and spacecraft programs. Most recently, Jean was Vice President and General Manager for the civil and defense division of Orbital ATK – now part of Northrop Grumman. Jean joined Stratolaunch as CEO in September 2015. Also with us today, is Scaled Test Pilot who flew the Stratolaunch aircraft today, Evan Thomas. Evan is a former F-16 pilot. During his 28 years in the US Air Force he held a variety of positions including Vice Wing Commander 46th Test Wing as well as Director of Operations, NATO Combined Air Operations Centre 5. 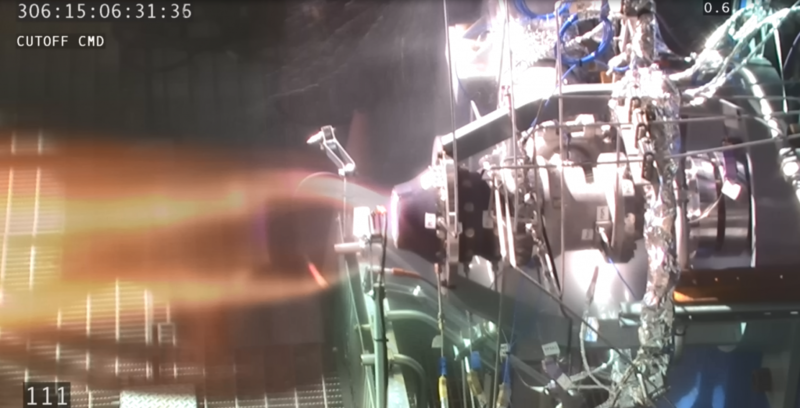 Most recently, Evan was Senior Test Pilot at Calspan Corporation for seven years and has been a Test Pilot at Scaled Composites since January 2018. Evan specializes in experimental flight test, aviation and test safety, aircraft stability and control testing as well as operational leadership. We also have on the line, Dr. Zachary Krevor, Vice President of Engineering at Stratolaunch. Zack leads the company’s technical integration and technical cognizance for the Stratolaunch aircraft. 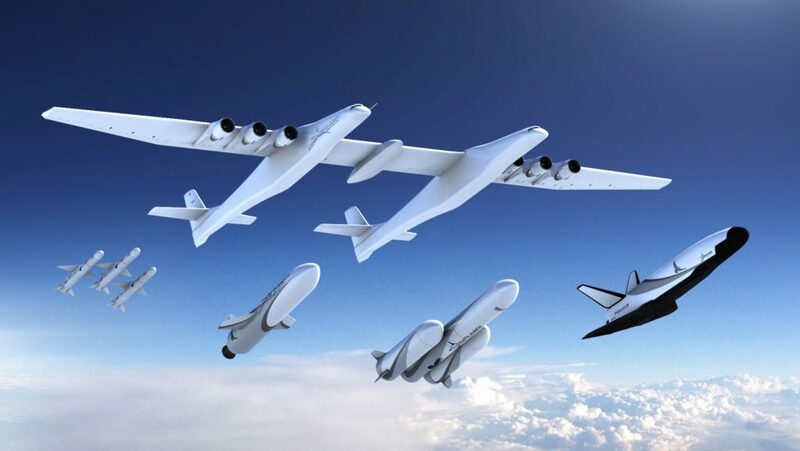 Prior to joining Stratolaunch he was the Chief Systems Engineer at Sierra Nevada Corporation for nearly six years and served as a Systems Engineer for Lockheed Martin before that. Jean. Jean Floyd – Thank you, Hanna. And good morning everybody. I’m thrilled to be able to talk to our circle of friends this morning. All of you’ve been very patient and very tolerant over the years waiting for us to get this big bird off the ground and we finally did it. So, thank you very much. And I’m really excited today to share that we have successfully flown the Stratolaunch aircraft for its first test flight this morning. The Stratolaunch aircraft is the world’s largest aircraft, specifically designed to launch rockets into space. It was an emotional moment for me to personally watch this majestic bird take flight and to see Paul Allen’s dream come to life in front of my very eyes. It was truly inspiring and incredibly satisfying for me. I had imagined this moment for years, but I’d never imagined the experience without Paul standing next to me. And even though he wasn’t there today, as the plane lifted gracefully from the runway I did whisper a ‘thank you’ to Paul for allowing me to be a part of this remarkable achievement. 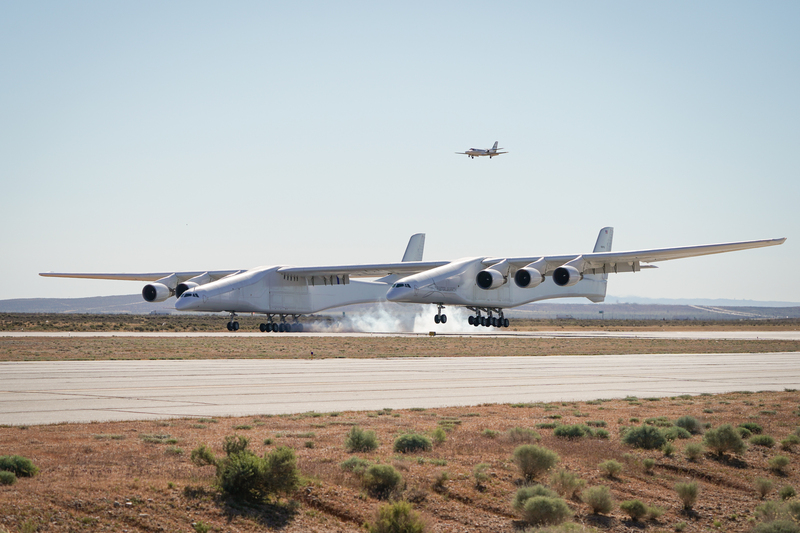 At 6:58 a.m. Pacific Time this morning the Stratolaunch aircraft took off from the Mojave Air and Spaceport flying above the Mojave Desert for about 150 minutes before completing a safe landing back at the spaceport’s main runway. The Stratolaunch aircraft achieved a maximum speed of approximately 173 miles per hour [subsequently corrected to 189 miles per hour] at altitudes up to seventeen thousand feet. The landing at Mojave Air and Spaceport was spectacular and was probably the most important part of today’s test, smooth and on the mark. I would like to thank the Stratolaunch team, today’s flight crew as well as our partners Scaled Composites, Northrop Grumman, the Mojave Air and Spaceport and Edwards Air Force Base for their support of this historic event. Now I’d like to hand it over to our Scaled Test Pilot, Evan Thomas, who has more specific details for you. Evan Thomas – Thanks Jean. Well, it’s been a great day for the team and really this flight could not have happened without their tireless efforts. The blood, sweat and tears of all the men and women of Scaled Composites and Stratolaunch who have worked so long and so tirelessly to make this happen today. The flight itself was smooth, which is exactly what you want the first flight to be. And for the most part, the airplane flew as predicted which is again exactly what we want. Again, a tribute to all the folks here at Scaled who designed the airplane, then built it to design and it flew much as we expected. We’d seen the run up towards takeoff, if you will, on previous high speed taxis. So, up until that point everything was similar to what it normally was. But certainly knowing that ‘OK it’s time to go’ and pushing up the throttles like we’ve done previously. But, this time it was for real. We got running down the runway, did our rotation and the airplane very nicely and smoothly rotated. It really just lifted off the ground and definitely was ready to fly and wanted to fly. It climbed out quickly and that was great to see. Then we turned out and basically went right into our test cards, climbing up to 15,000. For the first part of the flight, we checked out the handling qualities of the aircraft, which again, it flew very much like we had simulated and predicted which is exactly what we want. We saw a few little things that were off nominal, but really for a first flight, it was spot on. We checked out the handling qualities, they all looked pretty good. Our air data system was really close and that was very nice. We brought down the flaps and then we repeated our handling qualities, taking a look at what it was going to be like to land, checking the pitch response of the airplane, and then practicing some rolls and yaws to make sure we’d be able to line up with the runway like we wanted to. That all felt pretty good. The systems on the airplane ran like a watch. It is a very complex airplane – the propulsion, the pneumatic system, the hydraulics; they all ran perfectly which was great. We were able to concentrate on practicing some simulated approaches and getting ready to come back to land. The simulated approaches all felt good, up and away. So then we came in, lined up at the Mojave Air and Spaceport. Flew sort of a turnaround towards Edwards Air Force Base and lined up on a nice long final. Came in for a low approach. Everything seemed good on the low approach so then we came back around, flew another nice long final. Saw that plenty of folks had come out today to watch us land and went for the landing. Then we came in, touching down pretty much where we wanted to on speed. The airplane felt really nice on the touchdown, gear felt good. We had a couple of corrections to line up in the slow down and ended up rolling to a stop pretty much where we wanted to coming off the runway so it was overall fantastic. I honestly could not have hoped for more on a first flight especially of an airplane of this complexity and this uniqueness. So again my thanks to everyone who did anything to design this airplane, build it, to test it and put it in the air today. Thank you. And back to you Hanna. Hanna Steplewska – Thank you Evan and congratulations on a successful flight. Ladies and gentlemen, Evan has to leave us to debrief with the Scaled test team. So we thank him for his participation. And with that, I’m going to hand over to Dr. Zachary Krevor, Stratolaunch Vice President of Engineering. Zack. Zachary Krevor – Thank you, Hanna. And thank you all for joining us today. First, I too would like to thank and congratulate the Scaled Composites and Stratolaunch teams for their relentless work and contributions leading up to today’s flight. As you heard overall we’re very pleased with how the Stratolaunch aircraft performed. A goal of today’s flight was to demonstrate performance and handling qualities that reflect the requirements provided by Stratolaunch. As Evan mentioned, the aircraft flew as predicted which is exactly what we wanted, the flight really went great. I want to congratulate the Scaled engineering and manufacturing teams for their implementation of the aircraft design and build. It was also really great to see both the Scaled and Stratolaunch teams working together and especially satisfying for our own Stratolaunch engineering team which contributed communication and background support for the Scaled test team. On the final countdown leading to today, and then today, was the culmination of both teams working through interfaces to become a single cohesive unit. It was really exciting and very satisfying to see and again a big congratulations to both Scaled Composites and Stratolaunch team for today’s historic event. Now I’m going to turn it back over to Jean for closing remarks. Jean Floyd – Thanks Zack. 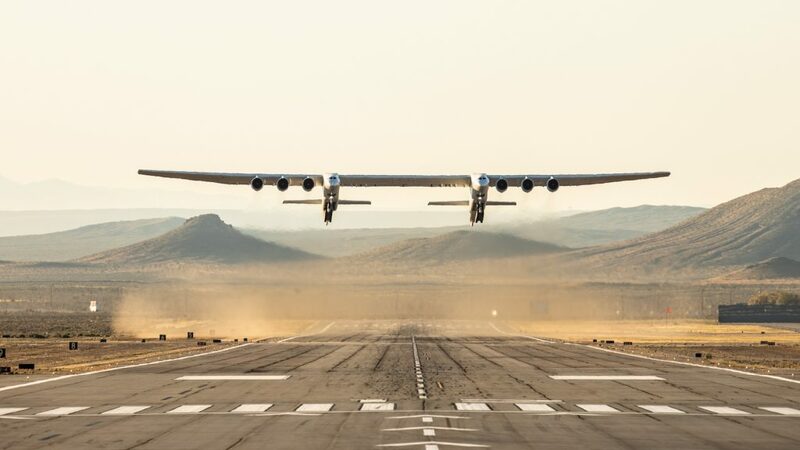 To view the Stratolaunch aircraft in flight was nothing short of breathtaking and the moment was made all the more special knowing how many people have contributed to its success since its inception in 2011. A special thanks to Paul Allen, Gary Wentz, Burt Rutan, Mike Griffin, Mark Shackleford and Cory Bird; all personal mentors and people who have played significant roles in helping Stratolaunch achieve greatness. From the flight crew today, to the engineers, builders and all the people who work tirelessly to get to this event, we dedicate this day to the man who inspired us all to strive for ways to empower the world’s problem solvers, Paul Allen. Without a doubt he would have been exceptionally proud to see his aircraft take flight. Now turning back to Hanna at a close up the telecom so we can go to celebrate today’s success with our teammates. Hanna Steplewska – Thank you, Jean. That is all the time that we have today. Thank you for joining and being a part of this incredible event. We encourage you to go to our Web site – www.stratolaunch.com to access various supplemental audio, video and print content for your reference. Thank you. This concludes today’s briefing. You may disconnect your lines at this time. Thank you for your participation. Jean Floyd – Thanks everybody!